The leaders of five Mediterranean EU member states convened in Athens in the hope of cementing a political alliance that will allow them to exercise more influence over European policymaking on economic growth, regulating flows of asylum seekers and tackling social inequality. “Our countries were hardest hit by the economic crisis . . . and are now on the front line of the migrant inflows . 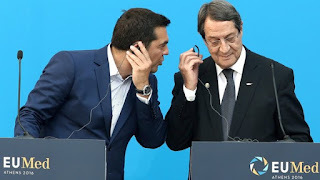 . . We need a common approach, common positions,” said Alexis Tsipras, the Greek prime minister, who hosted Friday’s gathering of heads of state and government of France, Portugal, Greece, Cyprus and Malta. For Mr Tsipras himself, who first proposed the idea of an EU “southern front”, with the backing of François Hollande, the French president, the summit was an opportunity to play a new role. The Greek premier has recast himself within days from radical opponent of austerity policies to a European statesman committed to building a broad-based regional initiative. Left-of-centre leaders across the continent, many of them hit by falling approval ratings, seized on Mr Tsipras’s proposal. It was first aired two weeks ago in Paris, where Mr Tsipras was attending a meeting of European socialist leaders as an observer. Yet Greece’s lacklustre record on economic reform suggests that Mr Tsipras may lack credibility in his new role.